Home » Programs » 2016 Livestock Learning Webinar Series – Updated! UW-Extension and the UW Madison Animal Sciences Department will again be hosting a “Livestock Learning Webinar Series” starting in February 2016. Note date change from previous news release. This series is best suited for older youth to gain animal project & issue based information. Attendees will gain ideas about project based leadership and career goals with the species of Beef, Sheep, Swine and Meat Goats in mind. All families are encouraged and invited to attend. You can participate in these webinars from your home using a computer and your phone or at your local extension office, if your local Extension office plans to host. Sessions are scheduled to run from 6:00 PM to 7:30 PM, and the following dates and topics planned are as follows. We ask that participants register no later than 2 days prior to each session, so there is time for connecting information to be sent. An email address is also required to receive materials and connecting information. There are a limited number of lines available so please register early. Continue to visit this site as we confirm speakers. If you have any questions about this series please contact Bernie O’Rourke, Extension Youth Livestock Specialist at borourke2@ansci.wisc.edu. 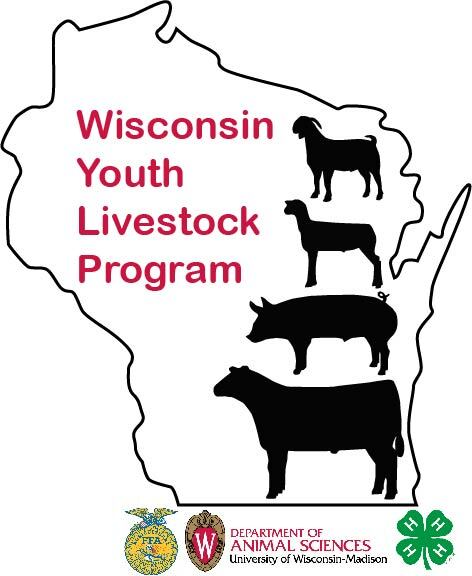 Webinar programs are provided as a service of the UW Cooperative Extension and the UW-Madison Department of Animal Sciences, and are hosted by Bernie O’Rourke, Extension Youth Livestock Specialist. The webinar system provides a two-way voice & visual communication between speakers and listeners and are free to the public.